Throughout our history, we have worked in partnership with the world’s leading public, private, and government-run research laboratories to develop application and site-specific shielding solutions for cryomodules, SRF cavities, SQUIDS, Cryostats, and Dewars for cryogenic applications. 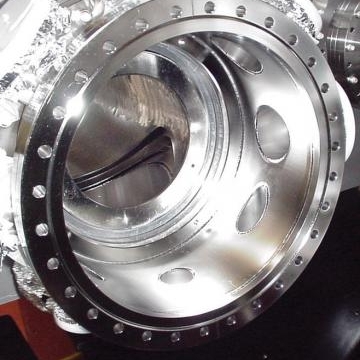 In many cases, shields internal to a Dewar or Cryostat can work in combination with external shields to provide extremely high levels of performance. Combining shields in this manner can reduce environmental noise to a level below the threshold of even the most sensitive measuring instruments such as Superconducting Quantum Interference Devices (SQUIDs). We can construct assemblies from an array of materials and tailor our process to optimize the material for your specific operating temperature. In terms of design, we can include removable end caps and access ports that allow our shields to be filled with liquid helium or nitrogen, or employ non-magnetic spacer supports between each layer of high permeability material. No matter the design or the material, all of our cryogenic shielding solutions are fabricated to consistently outperform your specific shielding requirement and fully tested in-house to guarantee performance. Additionally, we have the capabilities to create compound shields that incorporate cryogenic shielding along with room temperature shielding to enhance the shielding level of your system. Whether you are only beginning the shielding process or have fully detailed drawings and materials specifications, it is never too early or too late to give us a call. Our engineers have an innate knowledge of cryogenic shielding and will eagerly collaborate with you to develop the most cost-effective solution. We offer a number of standard component shields to our clients, however, our culture and capabilities allow us to manufacture and install unique custom shields ranging from prototypes and models to full-scale assemblies.